When the second Nu Creative Methods album was released, New And Rediscovered Musical Instruments by Max Eastley and David Toop had already been available for almost three years. Without being able to say that there was a direct, real-time influence, the direction taken by the British and French duos was however the same, combining research and tradition in a quest for a new imaginary folklore. The name chosen by the pair was anything but innocent, linking them to both the track «Nu Creative Love» by Don Cherry (from Symphony For Improvisers) and the book My Creative Method by Francis Ponge. Because the first outlines the route of a free jazz the boundaries of which have constantly been demolished and through which Pierre Bastien and Bernard Pruvost traced their own path, while the second, an anarchist creating a bomb with the irrational as gunpowder, is close to providing an intellectual method. Close, because even this is undermined by other essential routes taken by Nu Creative Methods. The Oulipo, for example, encouraged all sorts of creativity; or perhaps pataphysics, according to which a banal saucepan is equivalent to the Mona Lisa! To get closer to the source of their imagination, the following names would have to be added to the list, Locus Solus by Raymond Roussel, the Art Ensemble of Chicago, Harry Partch, New Phonic Art and «Zwei Mann Orchester» by Maurizio Kagel. 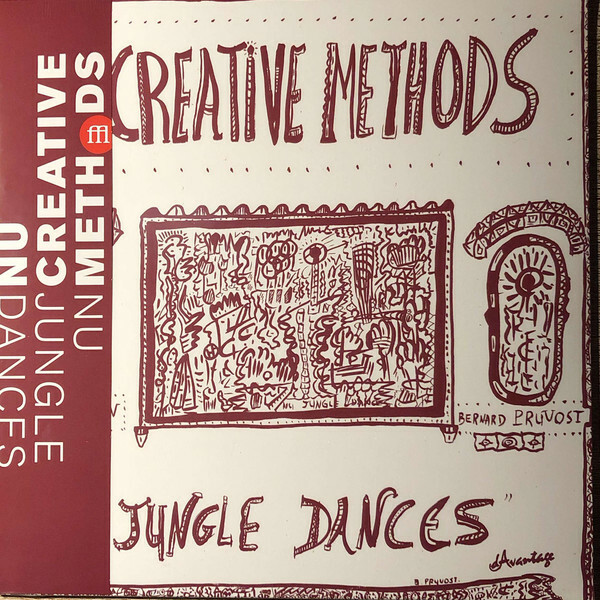 That shows, in broad strokes, the creative wheels in motion behind Nu Creative Methods and Nu Jungle Dances offers a taste of the pathways offered by chance, following improvisations using instruments from the five continents. By proceeding thus, that is to say entering an esthetic zone where popular and esoteric music come together at last, an infinite palette of sounds opens up, offering fantastic perspectives. Between free jazz and ancestral music, Nu Jungle Dances makes it happen without pretence but with a rare and luminous extravagance. But also with the willingness to take on board unexpected surprises, and with a natural charm combating for the craft of sound creation.